Frequently ships within 1 business day. 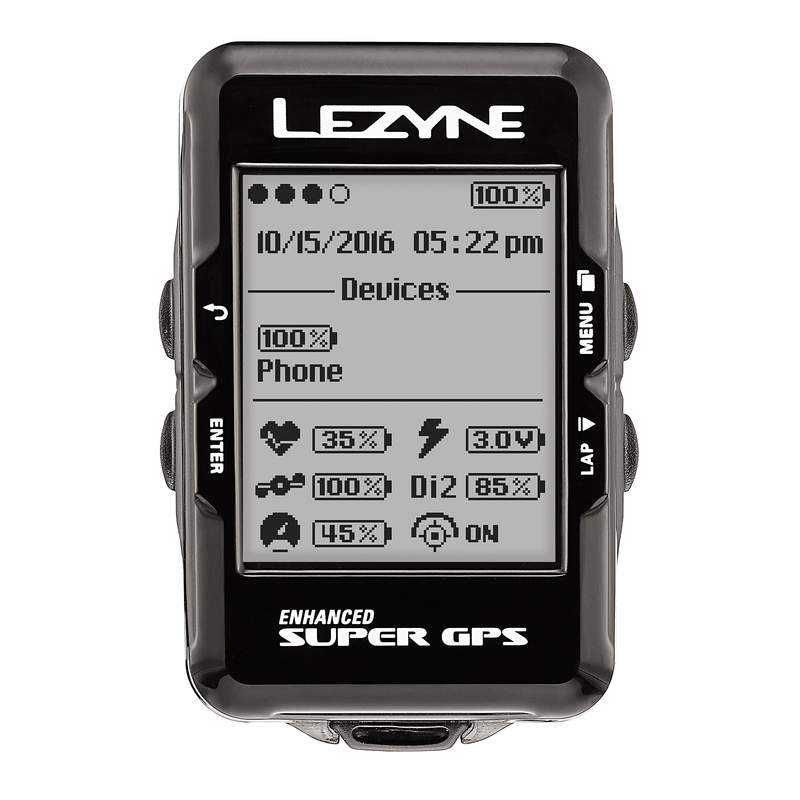 Lezyne Super GPS Cycling Computer::The rightly named Super GPS from Lezyne has all of the bells and whistles you wish to have for a successful ride. With its interactive features and its use of the latest technologies, this advanced cycling computer offers reliable ride tracking by combining three forms of measurements: GPS/Glonass, which tracks the rider; a barometer, which measures atmospheric pressure and balances out elevation; and an accelerometer, which detects movement and cancels out GPS float therefore saving battery life. Along with these features, advanced data and training information is readily available when paired with a power meter, heart rate monitor, iOS or Android smart phone or a speed/cadence sensor through the computer’s ANT+/Bluetooth Smart connections. Display incoming text messages, emails and phone calls, as well as turn-by-turn navigation. When paired with the free Lezyne Ally app, enjoy up to five customizable pages to navigate. This beast of a pc has a best-in-class battery with its 24-hour runtime.